With all due respect to the indisputable brilliance of corvids, parrots are probably the smartest birds in the world. Parrots, a group that includes macaws, keas, the African grey parrot, and cockatoos, exhibit astounding cognitive abilities, such as the capacity to build tools, recognise themselves in a mirror (a potential sign of self-awareness), understand object permanence, exhibit a theory of mind (i.e. they understand that others have their own thoughts), and are capable of vocal learning and expression. In both birds and mammals, these abilities have traditionally been associated with brain size, or the size or specific parts of the brain, such as the prefrontal cortex in humans and an associated area in the bird brain known as the pallium. But when it comes to intelligence and the presence of multiple complex cognitive capacities, it’s not a single brain structure that matters, but rather the characteristics that arise from distributed neural systems, and how these systems circulate information around the brain. 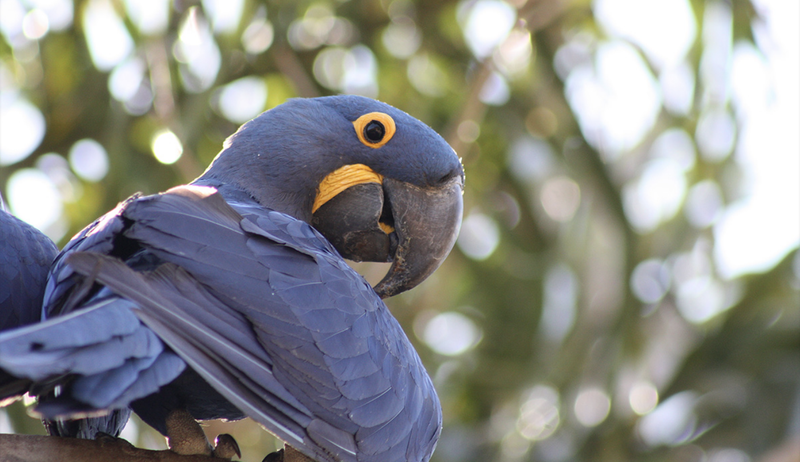 New research published today in Scientific Reports identifies a particular circuit in the brains of parrots that may contribute to their remarkable intelligence. A team of scientists led by psychologist Cristián Gutiérrez-Ibáñez from the University of Alberta say this brain area, called the medial spiriform nucleus (SpM), performs a similar role to a neural circuit in primates called the pontine nuclei. It’s a striking example of convergent evolution between birds and mammals, in which similar traits have independently emerged in different species. Like mammals, birds also have a pontine nuclei, but it’s really small. The SpM, which is located in a different part of the brain, performs a similar function, which is to transmit information back and forth between the cortex — the part of the brain responsible for thinking and processing information — and the cerebellum — the part responsible for motor learning and control, coordination, and balance. It’s the information loop between these two brain regions that allows for the planning and execution of sophisticated behaviours in humans. In birds, the SpM essentially performs the same function, which may explain why their intelligence is so human-like (to be fair, however, birds pre-date humans by millions of years, so perhaps it’s more accurate to say that human intelligence is bird-like! Of course, bird and human intelligence evolved along very different paths). For the study, Gutiérrez-Ibáñez and his team looked at brain samples from nearly 100 birds, including chickens, songbirds, waterfowl, owls, and parrots. 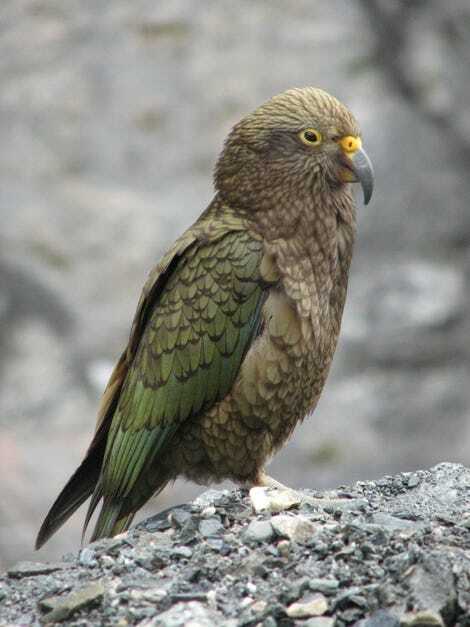 The researchers compared the relative size of the SpM to the rest of the brain, finding that the SpM in parrots are significantly larger compared to other birds. Indeed, there’s a lot more to avian intelligence than the size of the SpM. Previous research has shown that birds pack more neurons into their small brains than mammals, including primates, and they’re equipped with a dorsal ventricular ridge, the human-equivalent of which is the neocortex — the part responsible for higher-order functioning such as conscious thought, sensory perception, spatial reasoning, and language. Another major limitation to the study is that scientists still lack a full understanding of how the SpM actually works. To that end, the researchers are planning to study this brain part in further detail in hopes of being able to better characterise its function, and to fully understand the types of information it processes and why. Excitingly, this research could further our appreciation of human cognition, and how our pontine nuclei contributes to intelligence.